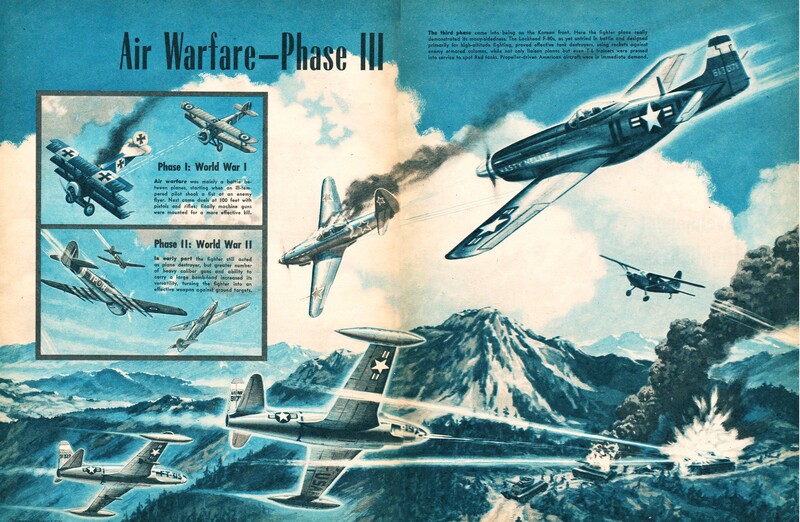 If Frank Tinsley was still writing articles for Air Trails magazine as he did in November of 1950, he would be up to at least Air Warfare Phase IX, depending on how you count our air wars / engagements. The Korean War officially ran from June 25, 1950 – July 27, 1953, so the Air Warfare Phase III installment was right at the beginning. Vietnam (November 1, 1955 – April 30, 1975) would have been Phase IV, the Gulf War (August 2, 1990 – February 28, 1991) counts as Phase V, Bosnia (April 6, 1992 – December 14, 1995) counts as Phase VI, Yugoslavia (March 24, 1999 – June 10, 1999) is Phase VII, the Iraq War (March 20, 2003 – December 18, 2011) is Phase VIII, and Afghanistan (October 7, 2001 – December 28, 2014) wraps it up - until the next - at Phase IX. Lots of other smalls engagements fell in-between, like Libya and Mogadishu. His artwork would also include stealth aircraft and drones. Air warfare was mainly a battle between planes, starting when an ill-tempered pilot shook a fist at an enemy flyer. Next come duels at 100 feet with pistols and rifles; finally machine guns were mounted for a more effective kill. In early part the fighter still acted as plane destroyer, but greater number of heavy caliber guns and ability to carry a large bomb-load increased its versatility, turning the fighter into an effective weapon against ground targets. The third phase came into being on the Korean front. Here the fighter plane really demonstrated its many-sidedness. 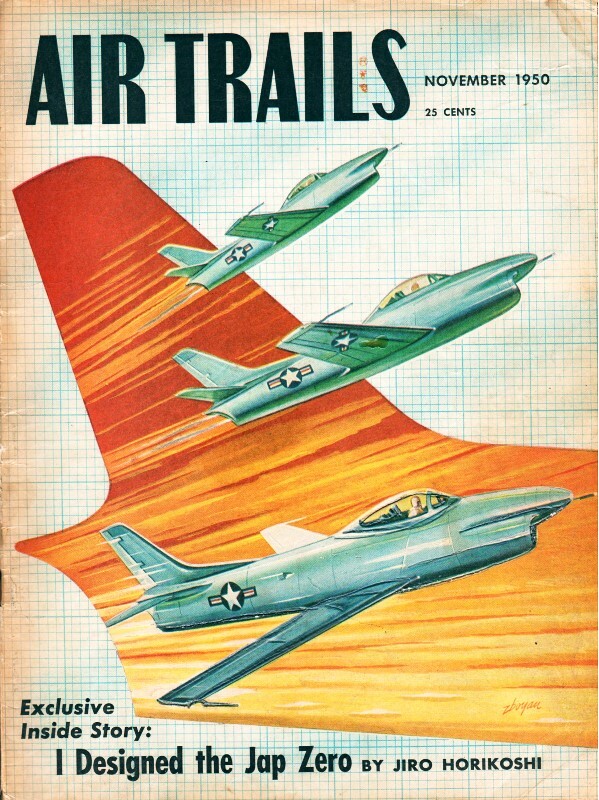 The Lockheed F-80s, as yet untried in battle and designed primarily for high-altitude fighting, proved effective tank destroyers, using rockets against enemy armored columns, while not only liaison planes but even T-6 trainers were presses into service to spot Red tanks. Propeller-driven American aircraft were in immediate demand.